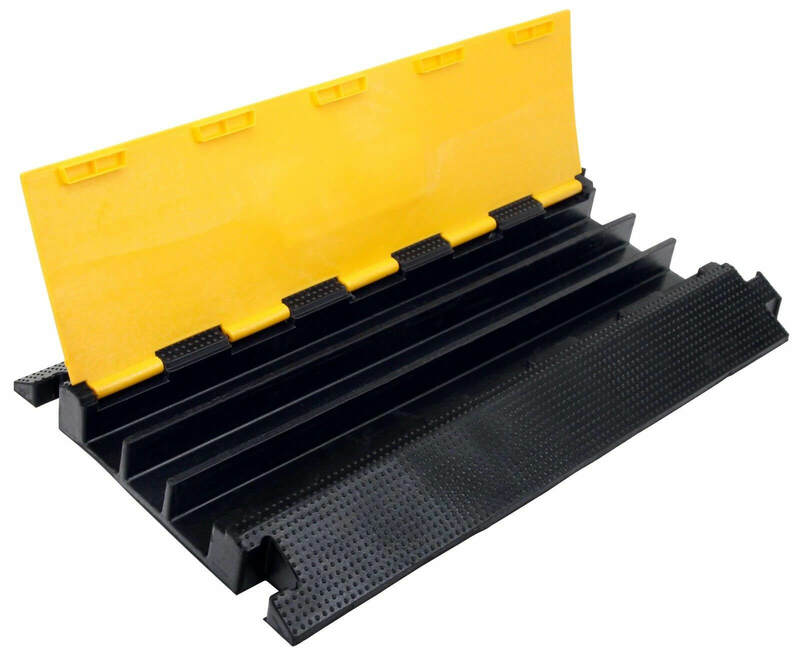 We stock 1m sections of Cable Protection Ramps with 2 channels for your cables to run down. These have a load capacity of up to 10 tonnes and are suitable for indoor or outdoor use. 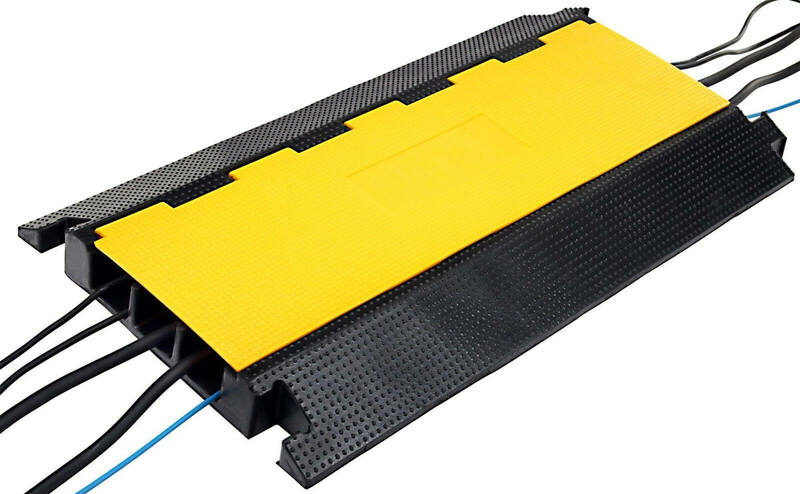 Designed for use in the event market to protect cable runs from light road traffic, or from pedestrian traffic reducing the risk of trips and falls. 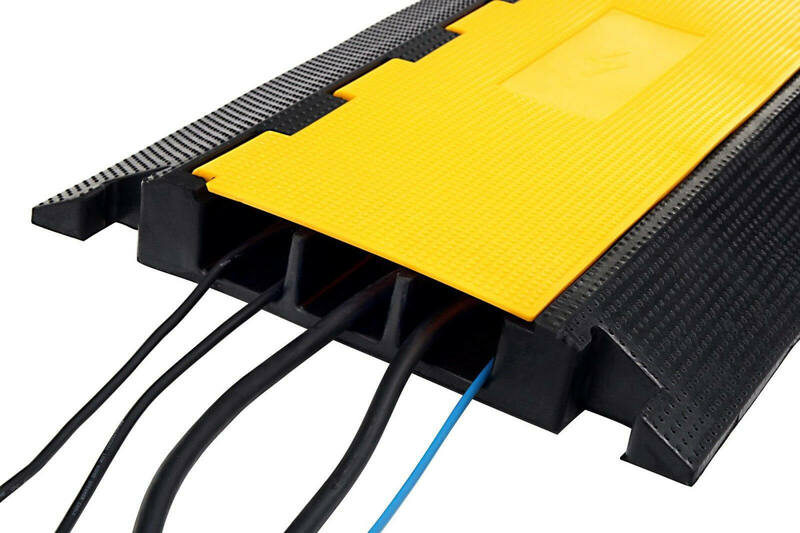 Manufactured from durable virgin rubber these Cable Protection Ramps feature flexible, yellow lids protecting the cables inside while remaining visible in darkened environments. The ramps are deployed first and the cables placed inside once the ramps are in place, ideal for concert venues, exhibitions and outdoor events.